Express your condolences for the loss of a loved one with the Eternal Love bouquet. 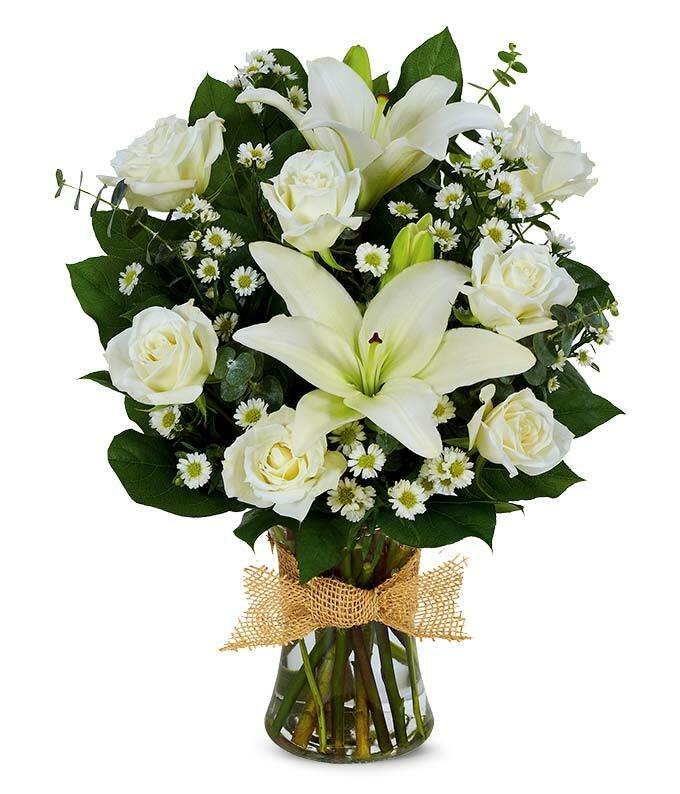 Brilliant white roses, monte casino, and Asiatic lilies are hand-arranged in a clear glass gathering vase. Topped off with a decorative ribbon, this bouquet will offer your recipient a bit of peace.